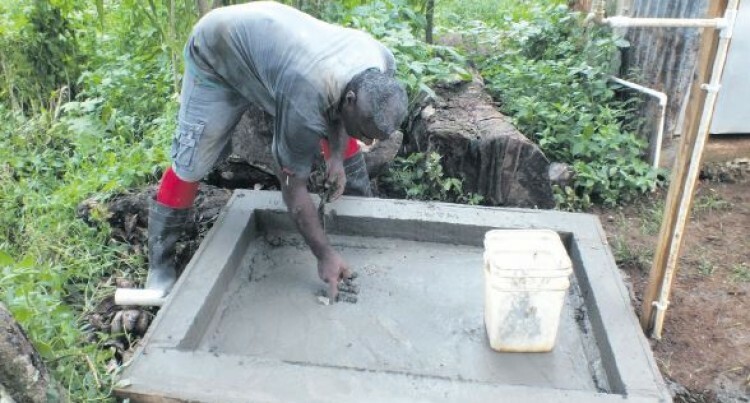 Three weeks into the construction of the Waivola rural water scheme by Water Authority of Fiji (WAF) pro­ject workers and the residents, the Waivo­la water committee chairman Peniasi Mateo, has reported “excellent progress”. Waivola settlement is located 20 kilome­tres from Korovou along the northern Tai­levu coast, about three kilometres before the Natovi jetty. It is counted as part of the village of Namena, Tailevu. Mr Mateo attributes the progress on the $58,000.00 project to preparatory work, planning and a co-operative effort, with a large number of residents turning out eve­ry day to assist with the project. “This is the third week of the construc­tion since the WAF project workers ar­rived. Before they arrived we had already completed the trenching work from the dam right to the last house and we had met and discussed among ourselves how we would carry all the bags of sand, gravel and cement to the dam and the reservoir site. “We are so glad that there are several young men here who helped us to shift all those things to the dam,” said Mr Mateo. Mr Mateo said over the past three weeks, the dam upgrade and the construction of a 4500-gallon reservoir had been completed. The Waivola residents and the WAF work­ers have also completed three standpipes and showers, with 10 more to be installed. Mr Mateo said they had been seeking ave­nues to address this problem for five years. “We would like to thank the Government and the WAF for hearing our cries and coming to solve this water supply problem we had been facing,” said Mr Mateo.